Two Hours Within Crystal Bridges Museum of American Art. When Hunter and I set out on our Spring Break tour of US Highway 71 through Arkansas, I had a destination in mind. 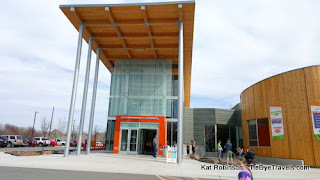 Come join us for a photo essay of what Hunter and I encountered at Crystal Bridges Museum of American Art in Bentonville. 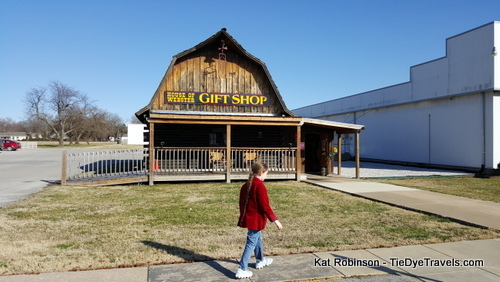 A Visit to Walton's 5 & 10 - The Walmart Museum in Bentonville. 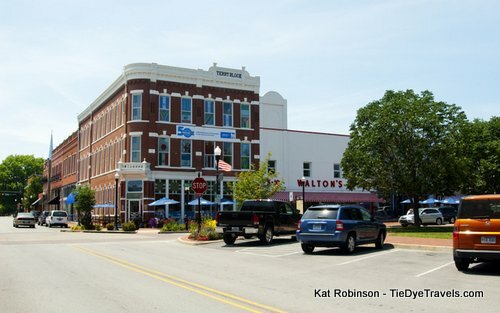 The nation’s largest retailer, Walmart, is based in Bentonville. The museum dedicated to the ubiquitous company is a lot of fun for kids and adults alike. Let's go take a look inside. Exploring Conservation at Hobbs State Park Conservation Area. Arkansas's largest state park is a preserved section of land along the south shore of Beaver Lake. Let's take a look at Hobbs State Park Conservation Area. The House of Webster Serves Up Delightful Condiments. Started in 1934, this longtime Rogers standard offers jams, jellies, pickles and butters to the world along with world-class bacon, mixes and mustards. Learn more about this home to some of Arkansas's best edibles. Take A Shot at the Daisy Airgun Museum in Rogers. It's been 130 years since the first Daisy airgun was manufactured... and today, you can see models of just about every Daisy ever made at the Daisy Airgun Museum in Rogers. Let's look inside. 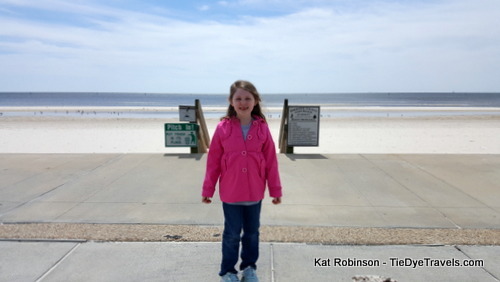 A Brief Walk on the Beach at Gulfport. 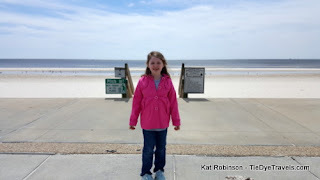 Hunter and I head to the Gulf Coast for 30 minutes in the sun on a cool March afternoon, for a chance to walk the beach and get sand in our shoes. The Last Hanger-On, Artist Point near Mountainburg. Though the heyday of US Highway 71 as the major route between Alma and Fayetteville are over, one lone establishment manages to remain as a hallmark to a golden age of Arkansas tourist travel. Let's take a look from Artist Point. 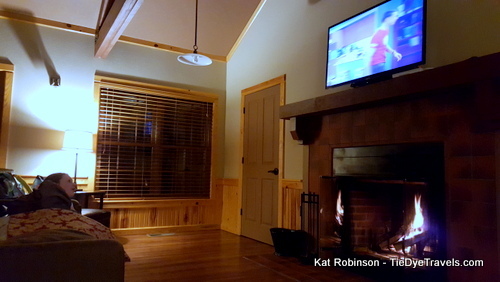 Relax In Front Of A Roaring Fire at Lake Fort Smith State Park in Mountainburg. I am rather fond of Lake Fort Smith State Park. After waiting three years, I finally had a chance to spend a night in one of the cabins at this facility near Mountainburg. It was extraordinary. A Child's Eye View of the new Scott Family Amazeum in Bentonville. Take a look at the new interactive center just for kids, which offers physical activities, educational opportunities and the chance to play with (fake) dinosaur bones, food and water in Bentonville's up and coming museum district. 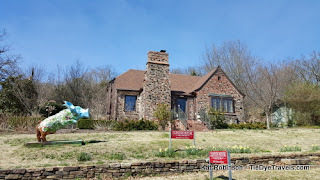 A Billgrimage to the Clinton House Museum in Fayetteville. A small brick house on a side street near the University of Arkansas became home to a future United States President and a future Secretary of State. Tour the Clinton House Museum in Fayetteville. A Lovely Adventure at Terra Studios Near Fayetteville. Hunter discovers and falls in love with the Blue Bird of Happiness while exploring an Arkansas treasure. Let's head up to Fayetteville and visit Terra Studios. 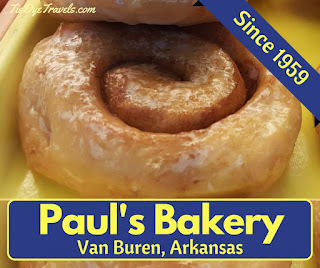 Sweets to Eat: Paul's Bakery in Van Buren. Since 1959, Paul's Bakery has fed doughnuts, cakes and other sweet treats to generations in Van Buren. Let's take a look inside. The Story Of A City at the Fort Smith Museum of History. In any community, there are a lot of stories to be told, just as many stories as there are individuals. Some museums go for a single or dual angle. In Fort Smith, the Fort Smith Museum of History offers the equivalent of a historic quilt, a patched-together collection of the city's best stories, many of which deserved to be spread far further than the confines of Sebastian County. Visit the Hanging Judge's Courtroom in Fort Smith. Isaac C. Parker ruled many times over the lives of men in a Fort Smith courtroom. That facility and two early jails are preserved on land that was once the last reasonable outpost of authority before the crossover into the Wild West. Let's take a look inside the Fort Smith National Historic Site. You Won't Believe How Many Dolls Are Inside This Arkansas Museum! What if I were to tell you there was an entire former Army barrack packed floor to ceiling throughout with dolls? Would you believe me? You should. Because that's what you'll find at Chaffee Crossing at the Enchanted Doll Museum in Fort Smith. 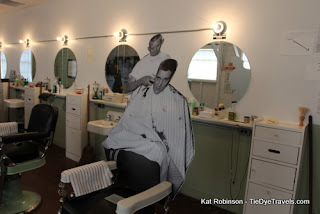 Elvis Presley and the Haircut That Shook The World: The Chaffee Barbershop Museum in Fort Smith. There's a museum for everything, and that certainly applies to things related to Elvis. But the Chaffee Barbershop Museum is more than just a place to celebrate a moment when The King got his coiffure clipped. Spring Break On 71 - The Link Page! Hunter and I took an epic road trip along US Highway 71. We started one Sunday at the Louisiana border and finished the next Sunday at the Missouri line. Along the way we stayed at cool places, ate when we felt like it and visited all sorts of attractions and people. 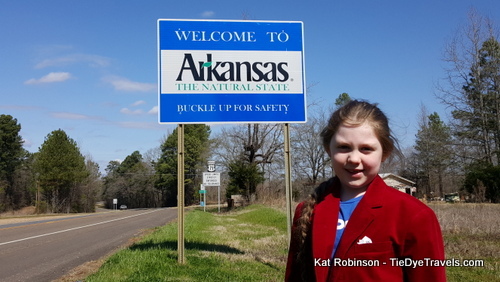 This is our second spring break trip exploring an Arkansas highway. It was phenomenal. We're glad to be able to share it with you. This page contains the itinerary and the relevant links. 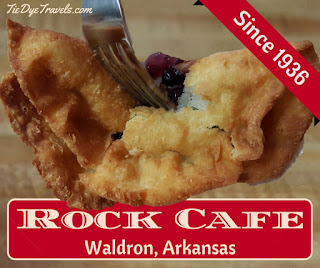 Fried Pies at The Rock Cafe in Waldron. Opened in 1936, The Rock Cafe continues to serve the residents of Waldron, Arkansas for breakfast, lunch and dessert. We had to try the fried pies. 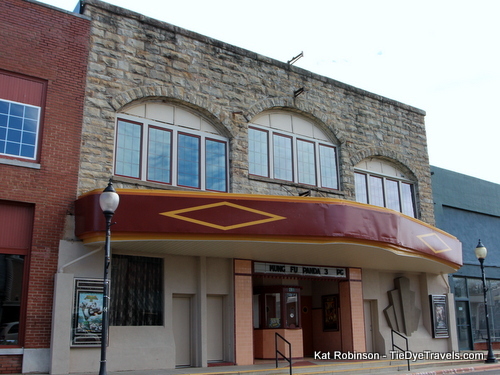 New Life for Old Scott Theater in Waldron. A movie theater on a small town's main drag was a staple for communities during the 20th century. The Scott, open since 1930, still sits at the heart of a western Arkansas town. Take a look inside. Wild Beauty at Cossatot River State Park Natural Area. One of Arkansas's great state parks celebrates a river as clear as glass, which also offers some of the most challenging rapids to shoot in the state. Hunter and I visit Cossatot River State Park Natural Area. Elve's Peanut Patties, a 60 Year Texarkana Tradition. Peanut patties, those delightful sugary creations that have often graced the palm or pocket of a traveler in need of sweet delights, are common in the southwest. Let's take a look at how they're made at Texarkana's own Elve's Peanut Patty Company. Burger Joint: Allen's Burger Center in Fouke. When is a burger joint more than a burger joint? When it's a sandwich shop and catfish joint, too... and those are separate businesses. Welcome to Allen's Burger Center in Fouke. 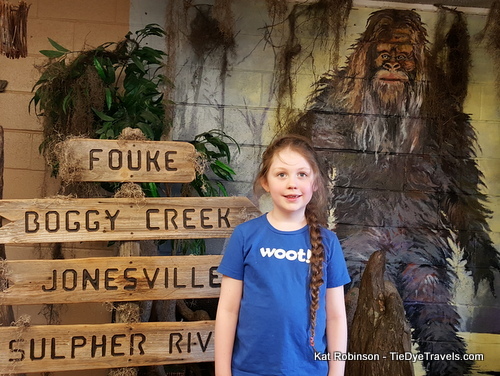 Finding the Fouke Monster in Southwest Arkansas. Searching for the southern Sasquatch? Rumors have abounded for years about the wooly fellow who haunts the flatlands and gullies around Fouke, Arkansas. Hunter and I took a look. 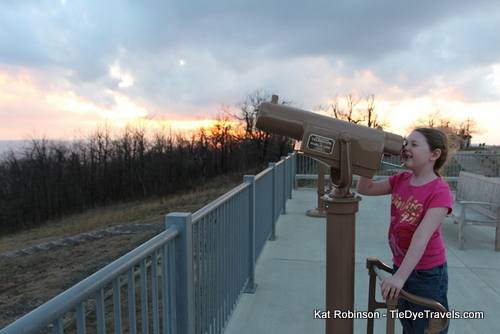 Five Great Arkansas Spring Break Roadtrips. 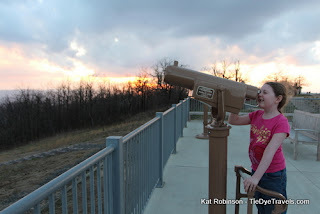 Spring Break is an opportunity to explore The Natural State in depth with your family. Here are some excellent vacation spots and ideas for traveling Arkansas's highways during that precious week off from school. An Unexpected Education at Karen's Krystals in Lockesburg. 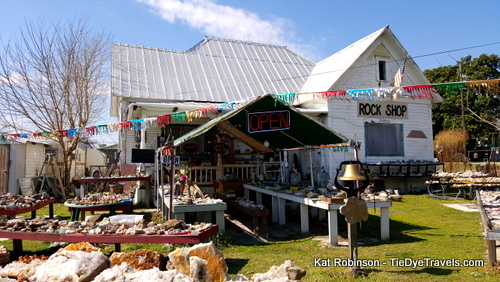 "Someone gives you a rock, you're a friend for life," a quick lesson alongside US Highway 71 on a sunny Monday afternoon. Read about our visit to Karen's Krystals. Time Travel to the 80s at Arkadia Retrocade. Want to escape to a simpler time when Pac Man Fever was an actual thing? 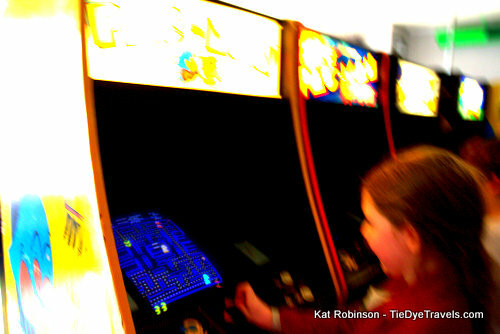 Take a trip to Fayetteville and enter the realm of Arkadia Retrocade. Cool Place to Stay: Queen Wilhelmina State Park Lodge. Has anyone ever told you that you have your head above the clouds? 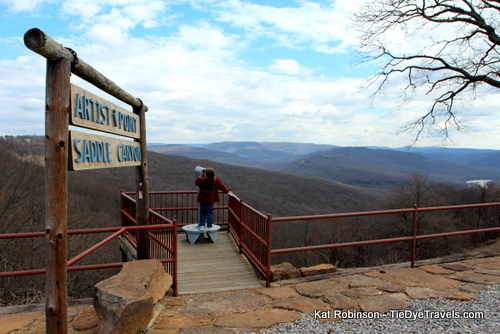 There's one particular lodge along Arkansas's western border where you can stay above it all. That great place is the recently renovated lodge at Queen Wilhelmina State Park. 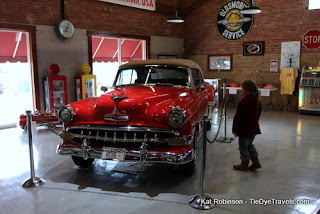 A Visit to the Four States Auto Museum in Texarkana.